There is something rotten in Denmark Corporation. The President (Shepard) is dead - killed in highly suspicious circumstances - and his ambitious brother-in-law Claudius (MacLachlan) has announced his ascension to the corporate throne at a hastily arranged press conference. Aspiring indie director Hamlet (Hawke) returns from film school to grieve for his late father, and is shocked and dismayed to learn that Claudius and his mother Gertrude (Venora) have married, barely two months since the tragedy. Plunged into despair, Hamlet seeks solace in his on-off relationship with budding photographer Ophelia (Stiles) but is rebuffed by her disapproving father Polonius (Murray) and brother Laertes (Schreiber). The young film-maker is momentarily lifted from his dark mood when loyal friend Horatio (Karl Geary) confides that the ghost of pater has been seen wandering the corridors of a nearby office block. The spectre soon visits Hamlet at his swanky Manhattan pad and relates its chilling secret: that Claudius did indeed poison the president. Determined to avenge his father's murder, Hamlet makes a film alluding to Claudius's heinous crime, consequently setting in motion a chain of events resulting in Polonius's murder, sweet Ophelia's suicide, and a duel for honour betwixt vengeful sons Hamlet and Laertes. Shot in New York City on a tight $2 million budget. 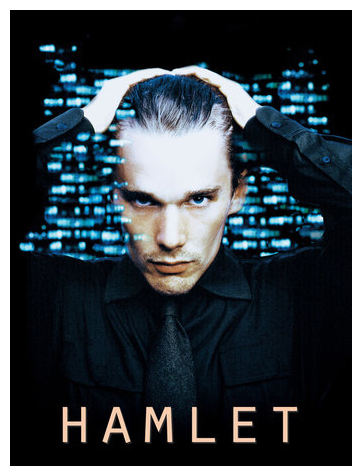 Almereyda first chose Ethan Hawke as his Hamlet. He then began assembling an unlikely crew of American actors, among whom the most intriguing choice was Bill Murray, who was cast as Polonius. Diane Venora, a distinguished actress who had been the gender-bending Hamlet of Joseph Papp’s 1983 stage production, accepted the role of Gertrude. The teenaged Julia Stiles, who like Hawke started acting in film as a child, would be a "new" Ophelia. Liev Schreiber, known in independent film circles and a seasoned stage actor who had done his own Hamlet, agreed to be Ophelia’s brother Laertes. 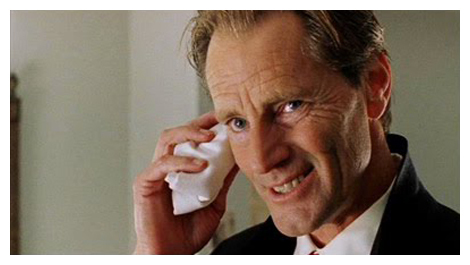 The extraordinary Sam Shepard, playwright and sometime actor, signed on to do the Ghost. And the crucial role of the fratricidal Claudius, who looms large in this production, was assigned to Kyle MacLachlan, a David Lynch favorite. 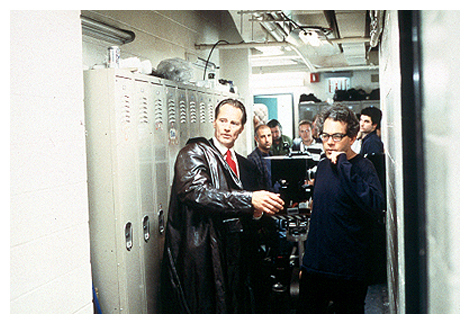 The photo below shows Almereyda directing Sam in a scene. "Hamlet" shows signs of authentic life in its first half hour. The ghost of Hamlet's father comes through the glass of a high-rise office building and tells his son the whole story about getting murdered and how unsettling and inconvenient it was to be sent into the afterlife with no warning. 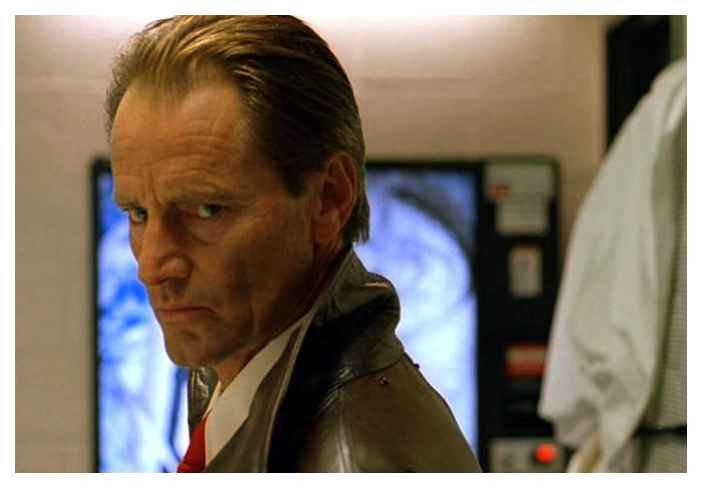 The father-son interaction between Hawke and Sam Shepard as the ghost is convincing, and Almereyda's eschewing of special effects is tasteful and gives the scene an uncluttered impact. Thankfully weighing in at a good two hours shorter than Branagh’s uncut 4-hour Hamlet, Michael Almereyda’s film proves that Shakespeare’s timeless play is still capable of springing a few surprises... The acting is superb – Hawke more than holds his own in the title role... In short this is an imaginative and exciting update, lacking only the decent swordfight the ending demands. Director Almereyda goes to the heart of things and has given Shakespeare a distinctively American perspective. ''Hamlet'' is a movie about urban isolation and the damage it causes, using corrupted wealth as a surrogate for stained royalty. To develop the distrust and miscommunication - a contemporary spin on the Shakespearean theme of people being out of touch with their natural environments - bits of dialogue are filtered through other sources, like overheard phone conversations. Mr. Almereyda's use of technology is fascinating and well thought out; Hamlet's dead father (Sam Shepard), for example, is first glimpsed on video screens. 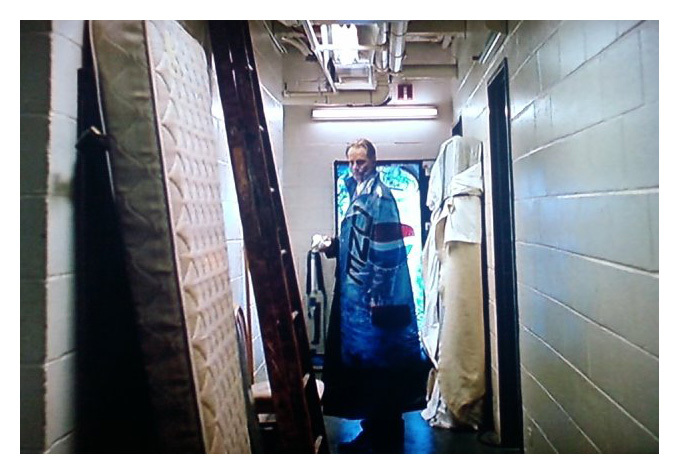 Hamlet's ''get thee to a nunnery'' speech to Ophelia becomes an unrelenting tantrum; it follows her home and continues to attack her when she turns on her answering machine. According to Almereyda, Hawke is the first under-30 Hamlet ever filmed, and he does an admirable job. His Hamlet is spoiled, brooding, and artistic... Liev Schreiber plays Laertes and shines above nearly everyone else. Equal to him is Diane Venora as Hamlet's mother Gertrude. Kyle MacLachlan is fine as Claudius, and Sam Shepard is memorable as the Ghost of Hamlet's father. Julia Stiles seemed a little lost as Ophelia, but Steve Zahn may be the screen's best Rosencrantz ever. If Ethan Hawkes's performance doesn't carry the day, there are others that do, chiefly Liev Schreiber's elegantly seething Laertes, Sam Shepard's rude, startlingly present Ghost, Diane Venora's Gertrude, and (yes) Bill Murray's Polonius. Hawke is a bland but effective Hamlet; Stiles is a childish and limited Ophelia; Murray is a deliciously hammy Polonius; MacLachlan is a transparently ruthless CEO; Diane Venora is a physically manipulative Gertrude, whose performance brings out both a mother's anguish for her son and her lust for her husband; Schreiber is simply brilliant as an affecting Laertes, playing his part more in the traditional Shakespearean mode; Sam Shepard makes for a hell of a forceful ghost; while, Steve Zahn is a sleazy Rosencrantz and Dechen Thurman (a relative of Hawke's) is his sleazy counterpart Guildenstern. The real flaw in this production is that despite our awareness of Hamlet's need to avenge his father's murder, nothing important appears to be at stake in this movie. The performers go about their duties in a stolid manner, reciting the words as though a requirement of their high-school English teachers but without recognizable passion. The element of fear is missing. Hamlet's father appears as a ghost who is simply not frightening though Shepard is the only actor in this case who transmits Shakespearian depth. In this up-to-the-minute setting, with edgy and stylized cinematography, the words remain Shakespeare's great poetry and, if the overall result is highly uneven, some of it works well enough to lead to disappointment that it isn't more consistently effective... Hamlet's scene with the Ghost of his slain father, without gimmicks to muck it up, is grippingly played and deeply involving. Both Hawke and Shepard demonstrate mastery of their roles here; the drama stays in the forefront and the anachronistic contrast of language and setting fades into unimportance. 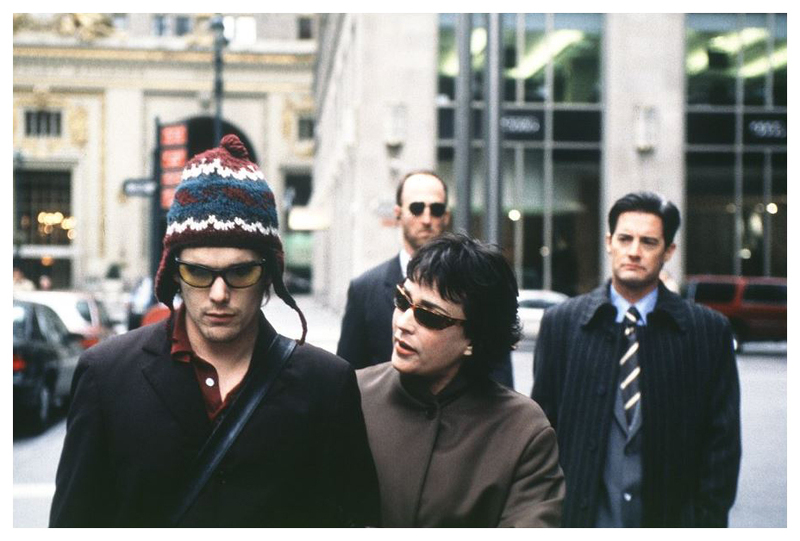 While it's burdened by some shortcomings, this Y2K date-stamped take on the melancholy Dane - appropriately played by Ethan Hawke as a brooding, film student heir to a business empire called the Denmark Corp. - is nonetheless a mildly compelling visitation on the Bard's most complicated tragic hero... Keeping their end up are Sam Shepard, perfectly eerie as Hamlet's phantom father, and Diane Venora, an experienced Shakespearean actress, who is mesmerizing as the queen. 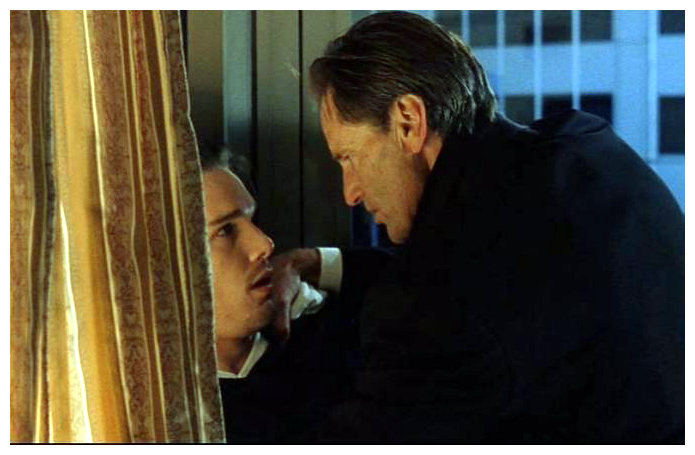 Is the film the moodiest, most atmospheric, audacious Ethan Hawke movie ever - or an inventive recalibration of Shakespeare to comment on a corporate culture? Sometimes the film manages to be a heated synthesis of the two, perhaps aided by Almereyda's minced, pan-and-scan handling of the text... Shepard unlocks the text with patient, hushed danger. He gets behind the words and pours gasoline over them, then rocks the Ghost's fury and betrayal. Paranoia is the theme, augmented by depression, despondency, and dementia - all running rampant at the Hotel Elsinore and the Denmark Corporation. Far better than Baz Luhrmann's "Romeo and Juliet," this visually stunning "Hamlet" is filled with intelligent, inventive performances - not only the leads but Liev Schreiber's furious Laertes, Julia Stiles's petulant East Village hippie Ophelia, Sam Shepard's mysteriously remote Ghost (who evaporates into a Pepsi machine) and, above all, Bill Murray's Polonius. Kyle MacLachlan's Claudius is divinely evil in both act and character - plaster cast megalomanager - cold, corporate, capitalist, self-interested - fratricide is only the most bloody of his sins. 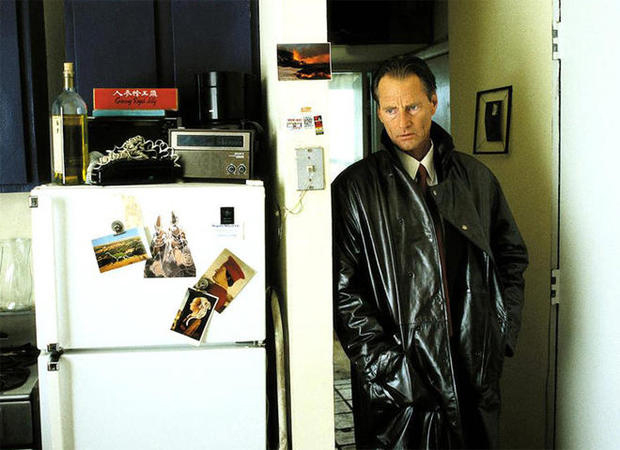 While Sam Shepard is remarkably moving as a quietly forceful paternal presence, no more or less ghostly in effect than an image on a surveillance monitor. Steve Zahn's Rosenkrantz hits all the notes with perfect pitch, both as comic relief and murderous foil.